Congresswoman Martha McSally spoke to voters in Saddlebrooke, Ariz., on Saturday to bolster support for her campaign in the 2018 midterm election. In the last weekend before the midterm election, candidates are working hard to make their final push to voters for Tuesday, Nov. 6. In Arizona, McSally and her Democratic competitor, Kyrsten Sinema, are locked into a tight race for Senate. When we spoke to McSally's, she sought to engage voters by reminding them what she represents as a candidate.
" 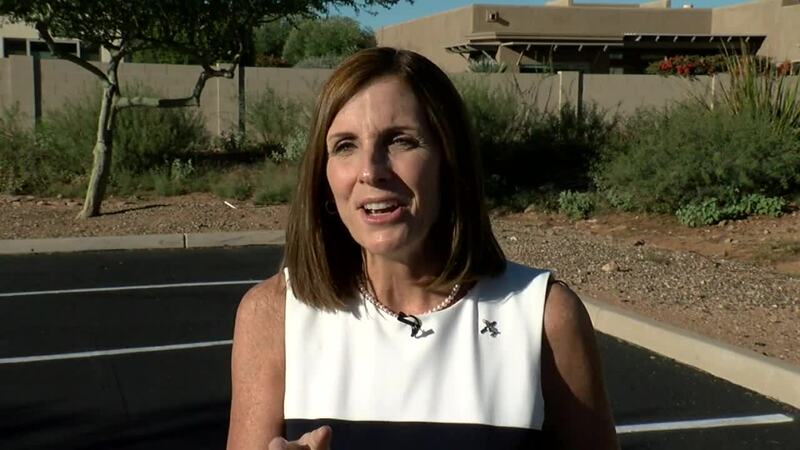 I've spent my life fighting for America and fighting for Arizona," said McSally. "Now I'm asking everyone to get engaged and get off the sideline. If you're happy about the economy, the job opportunities, a strong military, support to Davis-Monthan, saving the A-10, the cherry bell poster processing facility, the Douglas port of entry. Those are the things that I've been leading on." McSally went on to say how her roots were important for the campaign. "This is a historic opportunity for us to have our second senator from southern Arizona ever in our history," said McSally. "Someone who lives in southern Arizona, someone who's going to fight for southern Arizona. So i'd be honored to have their vote."